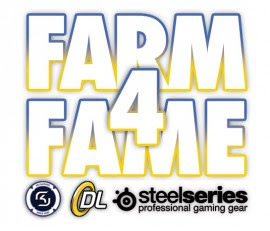 MYM is in the final for the DotA Farm4Fame again. After winning the inaugural F4F tournament, Internationa- MYM.DotA squad managed to make its way into the 2nd F4F final as well. Beating teams like Malaysia Kingsurf, France srs, Malaysia DNA-SK and Sweden Gvision has nearly gone unnoticed, but the final match is almost there again. MYM's possible opponent is either Germany Wicked Esports or Sweden Mousesports, the previous F4F tournament's runner-up. Who will face MYM in the final will be known by the end of tomorrow.